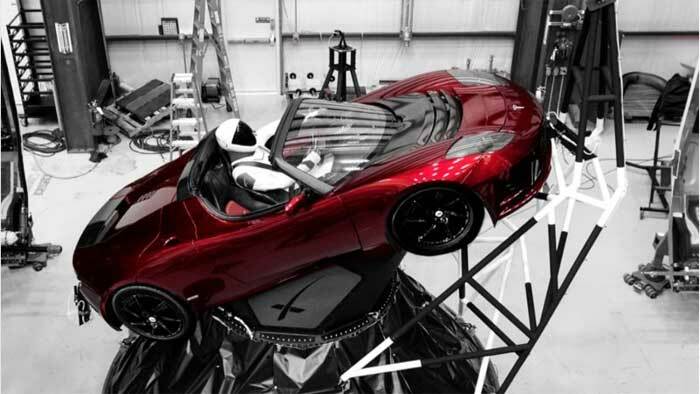 In what position is the Tesla Roadster mounted on the SpaceX Falcon Heavy? I've been looking at the live streams but it's difficult to tell. 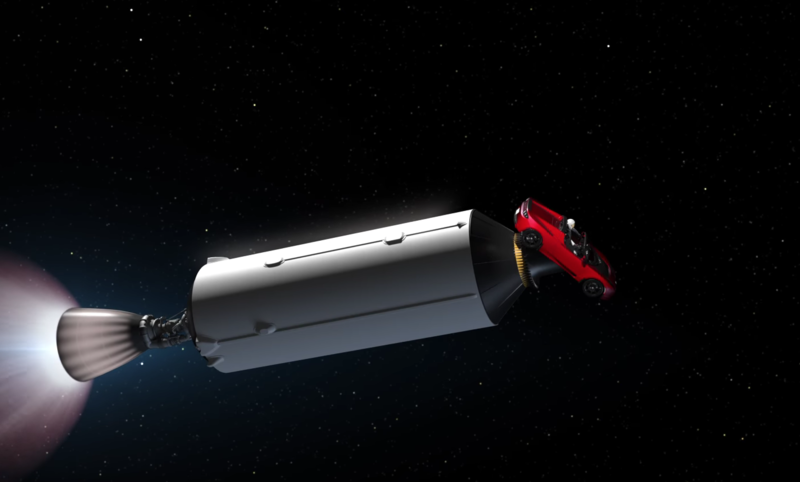 How is the Tesla mounted on the Falcon Heavy? Is parallel or perpendicular to the axis of the rocket? As pictured in answer https://space.stackexchange.com/a/24905, it is like 45 degrees to the rocket axis. Not the answer you're looking for? Browse other questions tagged spacecraft falcon-heavy or ask your own question. If Starman is heading to Mars, why is he still spinning so we see the earth? Just how much of the Falcon Heavy is reusable? Could the Lunar X-Prize have been won by the Tesla Roadster that was the Falcon Heavy test payload?